Information technology software and business apps offer unique tools to enhance how every business runs. 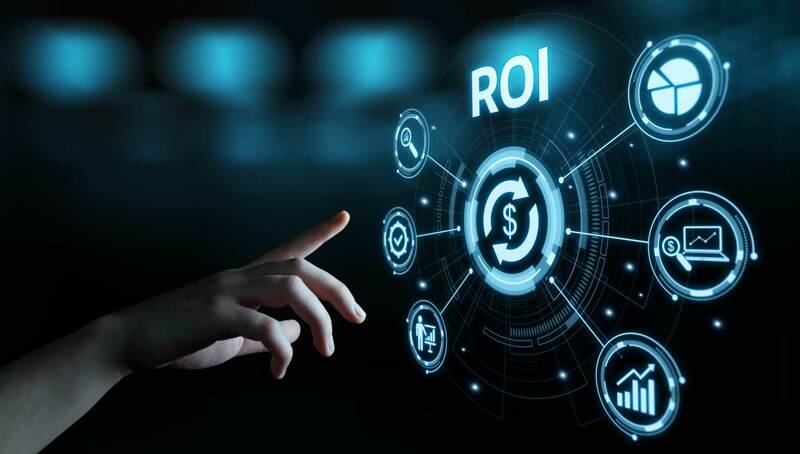 From major corporations to multi-city companies, small teams to sole proprietors, getting a return on your IT software investment (ROI) requires understanding the full cost and benefits when selecting the channel to acquire new software or business apps. This guide provides a comparison of the four primary ways to acquire business software in order to help make your next IT purchase a wise investment, not a costly mistake. 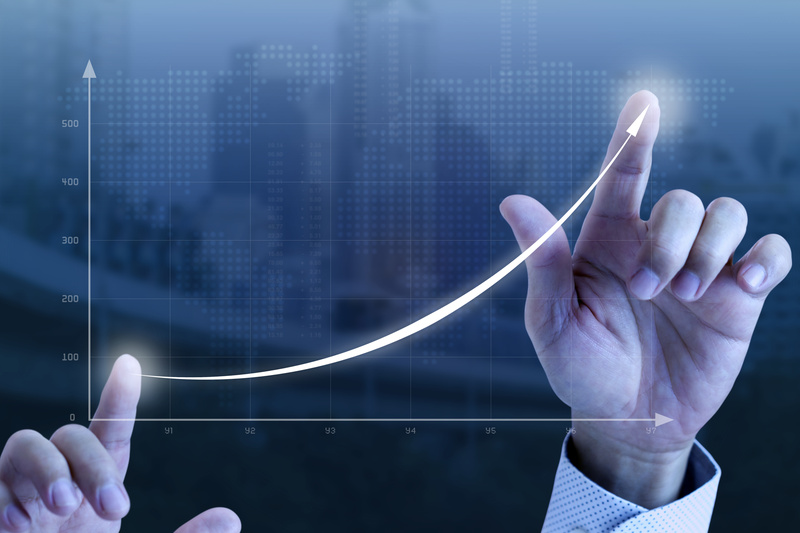 Success stories and results by companies leveraging technology to upgrade how their business runs has sparked business owners big and small in 2019 to increase their IT budgets. When weighing your investment options, each presents its own unique pros and cons. Looking beyond the price tag, take into account the additional costs with each for your business. Purchasing an out-of-the-box solution is one that is shipped ready to use. Designed around certain business processes or industries, it is developed by niche or major software providers. Before You Purchase try out a demo with a small section of your team. Remember that 12 features with half you don’t need, will have less ROI, than a custom solution with three features you use every day that is simple, easy to learn and use. Need Help? Reach out to a company that can assist with non-biased software comparison and perhaps price you a custom solution, so you get a clearer comparison of out-of-the-box vs custom software. Overseas development in countries like India, Russia, or the Philippines, to design and build a custom software solution based on your requirements presents challenges. Although this can be seen as the cheapest option on paper, in reality, it can be the most costly. Before choosing an overseas company to develop a custom solution, understand your exact requirements, and do extensive research to select a reputable and quality one. Read reviews products, customers, years in business carefully, and determine that information is real and true. Many companies are known to make up or hire people to make fake information to scam companies into selecting them. Remember the full cost, as saving money in the price may cost your business time and money if the quality and reliability don’t meet your requirements. In comparison to the price of hiring a company to build it for you, hiring and building an in-house team to build your solution is a major investment. In certain cases, it can be the best decision. When Does In-House Make Sense? This option is not for saving money on a project, but instead, investing in a new line of business for your firm or to build a number of custom solutions that various teams in your company need. If your company sees a pattern of client's demands around the same problem, you can plan to expand into apps and software with a custom developer partner rather than building an in-house team. If Choosing To Hire and Build In-House get clarity on requirements, projects, tasks, and role. Get support to pick the right candidate you can afford to keep. Choose the Extravagant Class when you have money to burn, want the name recognition, or is the right decision for personal or company reasons. 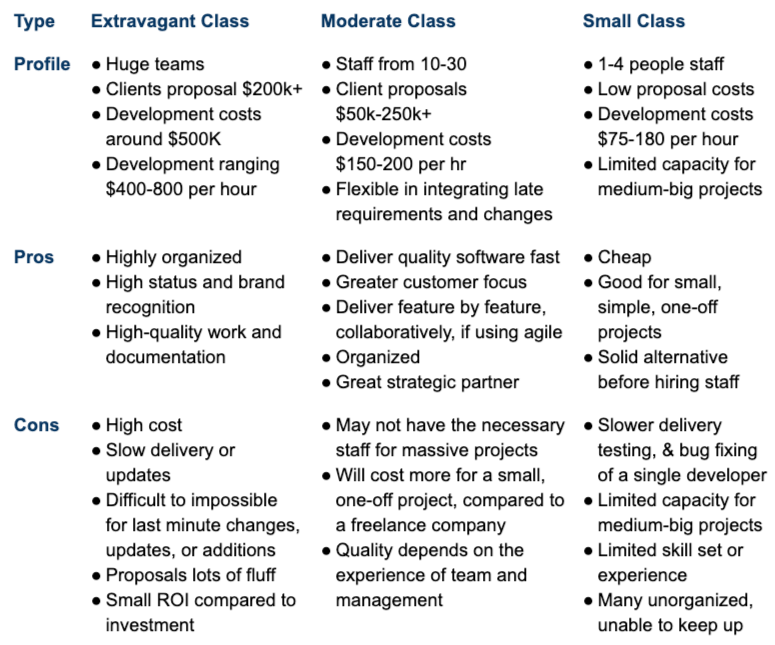 Choose the Small Class for any small projects that are not time-sensitive, or if you are interested in building an in-house team. For the majority of projects partner with a growing and reputable Moderate Class development company. This class offers flexible, collaborative, fast development and delivery that is on-time, on-budget, and supported with reliable maintenance or updates. The Moderate Class is a good choice for long term partnership, given their capacity to support bigger or small projects, and collaborate with or refer clients, which has been the case for TSL and our partners or clients. In conclusion, focusing only on the price of the software as the cost doesn’t take into account the full costs of the purchase. When software complicates, instead of simplifying what you are trying to do, it can cost productivity, efficiency, sales opportunities, staff, and even customers. Purchasing Out-of-the-Box-Software or using an Overseas Development Company is the short term, fast, and usually, cheapest option that costs more than the price. Don’t take on new staff or expand to an in-house team first. Hire a freelance developer, or partner with a custom developer, until the investment makes sense. Reach out to a company that can assist with non-biased software comparison and price you a custom solution, to get a true comparison of out-of-the-box vs custom software. Talk to The SilverLogic for more information. Why Partner with a Custom Software Development Company? Select the option with the lowest overhead, fastest, reliable delivery of a quality product, and is flexible to meet your needs. Remember, investing more in a project that is guaranteed to bring a higher return for your investment is a profitable investment. Choosing one just because it’s cheapest results in quality that will cost you much more than just the price of your investment. 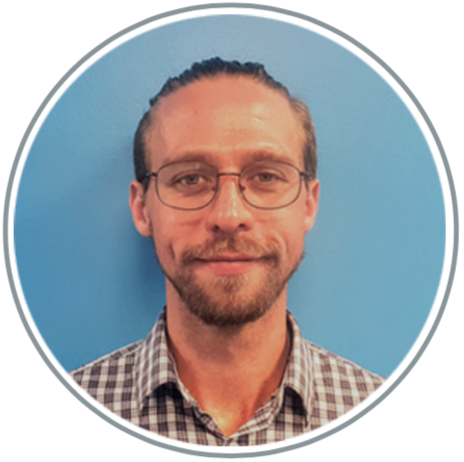 Partnering with a custom software developer, like The SilverLogic, extends your team. Our clients don’t spend money on custom software, but instead are investing in a profitable solution to break through the limitations or barriers that have previously prevented their business from operating at full potential. Using a collaborative, client-focused approach, we use agile to deliver with speed, feature by feature, innovative and high-quality solutions that have earned us multiple awards in competitions, and transformed or grow our clients’ businesses. Simply put - hire a solution architect with an experienced team focused on ROI, instead of purchasing from a software provider driven by sales quotas.